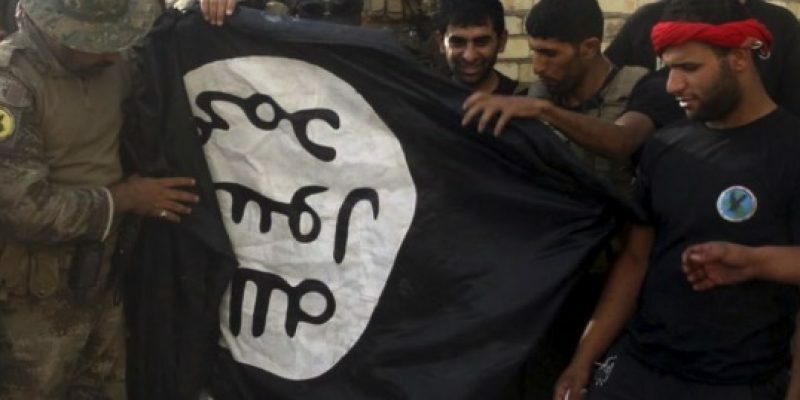 DOJ arrests three Michigan residents for allegedly supporting ISIS, wanting to "kill non-believers"
The Department of Justice (DOJ) announced Tuesday the arrest of three Michigan residents for allegedly conspiring to provide material support to the Islamic State (ISIS). Agents of the FBI Joint Terrorism Task Force arrested Muse Abdikadir Muse (Muse Muse), Mohamud Abdikadir Muse and Mohamed Salat Haji on Monday without incident, the DOJ said in a statement. The U.S. Attorney’s Office for the Western District of Michigan charged all three in a criminal complaint filed today in U.S. District Court in Grand Rapids, Michigan. The conspiracy charge is punishable by up to 20 years in federal prison. One of the arrested men had just checked into a flight en route to Mogadishu, Somalia, and he was driven to the Grand Rapids airport by the other two conspirators who allegedly knew the purpose of his travel was to join ISIS. The complaint asserts that all three defendants pledged allegiance to ISIS through videos they recorded themselves. Muse Muse and Haji allegedly discussed with each other their desire to join ISIS, to kill non-believers, and even to potentially use a car for a martyrdom operation to run down non-believers here in the United States if they could not travel overseas to fight for ISIS. All three of the defendants were born in Kenya, but are naturalized U.S. citizens. Among other support, the complaint states that Haji and Mohamud Muse aided in the purchase of the ticket and drove Muse Muse to the Grand Rapids airport, each knowing the true purpose of the travel was for Muse Muse to join and fight for ISIS. Following the arrests, federal agents executed search warrants at a residence shared by Mohamud Muse and Muse Muse.